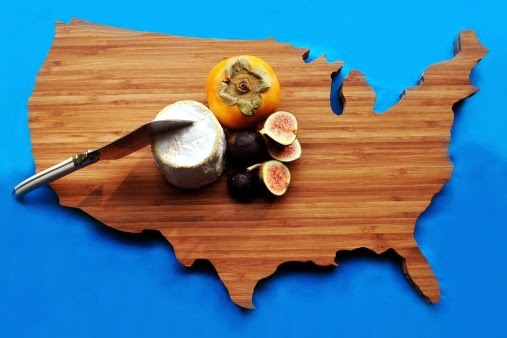 From State to Cheese Plate, Made in the USA. Platters Shaped Like Places that Matter at Heart. Don’t you love it when a simple idea for a personal project turns into a wildly popular business opportunity?! For Amy Stringer-Mowat and husband Bill, their marriage resulted in two very successful unions: their loving partnership of course, but also a concept for paying tribute to special places all around our country with USA made home goods. 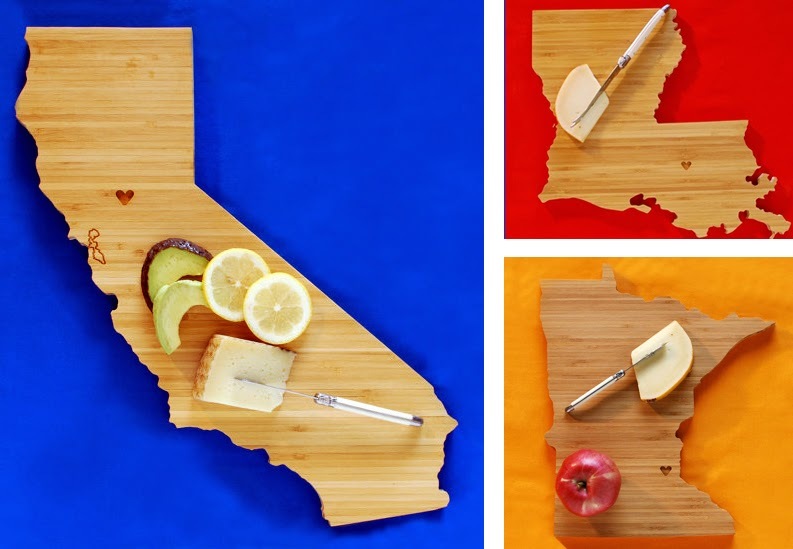 Their main offering is very straightforward - State Shaped Cutting Boards, and yet, simplicity is a large part of the beauty. Well made natural items juxtaposed with clean, modern design can be very striking. Amy’s material of choice for her best selling state cutting boards is bamboo, but she has recently expanded to a range of other designs and styles. There is such a wide variety of woods to choose from, all with unique shades and grains. Why wouldn’t you want to preserve and showcase all that nature has to offer? There is no need for paint or other embellishment when you can create shapes and patterns from the wood itself just by how you cut and pair pieces together. 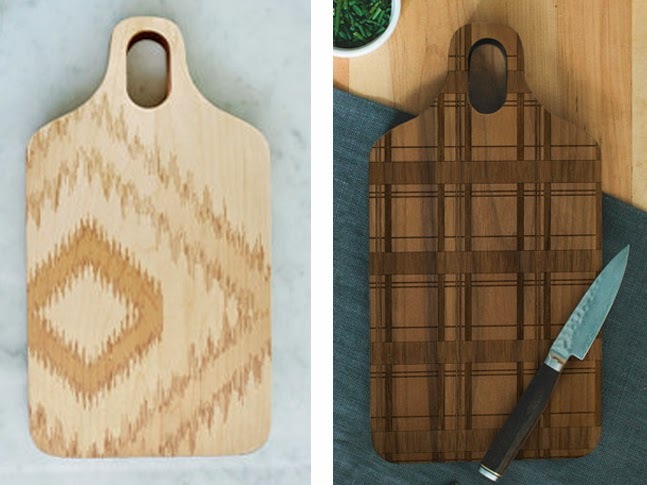 Both the sentiment and style of these naturally finished cutting boards come together to make something truly special. Choose your favorite state and mark your hometown with a heart, home or star to show your love for where you were made. Amy also welcomes custom engraving requests for the perfect personalized gift!